Would you like to hear a sobering statistic? According to widely published research by the National Institute of Literacy and the U.S. Department of Education, more than 30 million American adults are functionally illiterate. Whats worse is that if the trend continues, our nations workforce will be ill-equipped to compete in the global environment. Thats partially why we here at Canopies and Tarps place a great value on the development of reading and comprehension skills. We are not the only ones either. Starting on February 28th, 2014, many organizations and schools will be kicking off a one two punch initiative designed to counteract our nations dismal literacy rate. It all starts with a reading challenge and Dr. Seuss birthday celebration. The two activities are part of a broader, annual initiative known as Read Across California Month. It runs from February 28th through March 31st. During the month long initiative, why not set-up a party tent and help foster a love of reading among your communitys members too? Weve got a wide variety of colorful party tents that would be perfect for hosting a Dr. Seuss birthday party, book giveaway or a community read-athon. The party tents could even be decorated with Dr. Seuss character cut-outs, balloons and pictures of people reading together. If you do decide to hold a Read Across California event in one of our party tents, dont forget to contact other local businesses. They may want to get in on the fun too. For example, a local bakery may be willing to donate a Dr. Seuss birthday cake or baked goods for the attendees. A local bookstore or charity organization may want to help by donating the books for the giveaway. Speaking of charity organizations, there are actually several state and national ones that typically give free or low cost books to communities too. Among them are the Childrens Book Project, the Library of Congress Surplus Books Program, First book and the Heart of America Foundation. You may want to try and make contact with them prior to your event as well. To learn more about our party tents and how to set them up in time for Read Across California events, please contact us at (877) 811-3911. We may be reached during the week by phone as well as via e-mail. 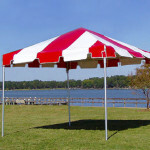 This entry was posted in party tent and tagged party canopies, party tents, party tents for sale on February 27, 2014 by Canopies Tarps. Each March, many Americans help celebrate Red Cross Month by hosting blood drives and fundraisers. If your healthcare organization, business or group plans on participating this year, dont forget to order several pop up tents. Having them set-up onsite will make both blood drives and fundraisers go smoothly. If you are going to host a blood drive, youll need a central area where donors can sign in and provide their personal information. Having a Pro Series Commercial Grade Pop Up Tent would help make that central area standout. You could place a large banner on or in front of the canopy identifying it as the sign-up area. Afterward, you could set-up a table under the tent and fill it with sign-up sheets, clipboards and pens. Separate pop-up tents in different colors could also be placed in the same general area. They could be used to house post-donation I Gave Blood stickers and light refreshments for spring blood drive participants. Ideally, the light refreshment stands pop up canopy should be outfitted with food mesh walls as well. Theyll help to keep the operation sanitary. As for fundraisers, the pop up tents could be used in a variety of ways. It all depends on which fundraiser you plan on hosting. For example, you could set the tent up in front of your business and sell bleeding heart plants, red t-shirts, medical tags or some other item. The proceeds could then be donated to your local Red Cross chapter. If a straight up sale isnt your type of fundraiser, dont worry. The pop up tents could also be used to house a charity auction, live radio remote personalities, special contests and other special activities. To learn more about how to incorporate them into your fundraising plans, please contact us at (877) 811-3911. At Canopies and Tarps, we have the products spring blood drive and charity event organizers need. This entry was posted in pop up tents and tagged instant canopies, pop up canopies, pop up tents on February 27, 2014 by Canopies Tarps. Depending on where you live, planting oats may be an option. For instance, to ensure a spring crop in the Midwest, the seeds will typically need to be drill-planted prior to mid March. In most instances, youll need to plant 100 pounds of seed per acre to generate 2,000 pounds of forage or 60 days worth of baled food. Once the seed heads appear, the oats may be harvested and stored under our hay covers until needed. During the cool season, testing the soil and adding fertilizer as needed is also an option. Doing so will help to ensure future hay growth. In many cases, the fertilizer will need to contain potassium, phosphorus, boron, sulfur and nitrogen. If you decide to buy the fertilizer in bulk and apply it yourself, our acid resistant, heavy-duty poly tarps will come in handy too. They may be utilized to help keep the pallets of fertilizer dry and contained prior to use. Lastly, you could make baleage with any hay harvested during the wet, cool weeks ahead. 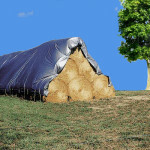 Once youre ready, our hay covers and tarps may be used to help keep oxygen away from the forage. It is important to keep the oxygen out because it could lead to mold and mildew growth. That, understandably, would render the baleage unsuitable for livestock consumption. To ask questions and order custom hay covers in time for spring, please contact us at (877) 811-3911. Remember, it generally takes 7 to 10 business days to manufacture a custom hay cover. Shipping time is additional. 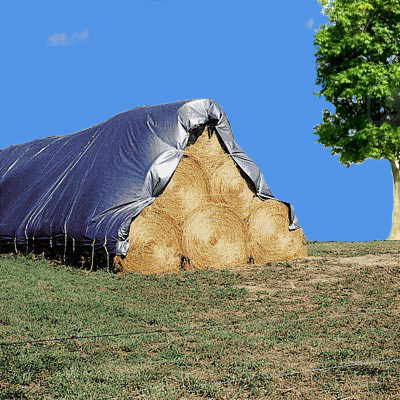 This entry was posted in hay tarp covers and tagged hay covers, hay tarp covers, hay tarps on February 20, 2014 by CanopiesAnd Tarps. Did you know that spring is an excellent time to address any roof damage that may have occurred during the winter months? Its true. Addressing the problems now actually helps prevent further damage and reduces the likelihood that youll have to work in the sweltering heat. The only downside is that spring is also mud season. So youll want to take extra precautions. One precaution that we would recommend is purchasing a supply of roofers tear off tarps. In our experience, they will definitely make cleaning up discarded roofing materials a lot easier. Made out of 40 ounce vinyl, these heavy-duty beauties are designed to go onto the ground and hold roofing debris. So you wont have to worry about fishing roofing nails and shingle pieces out of a mud hole. The other great thing about them is that they range in size from 7x 7 to 20 x 20. They also have a 4,000 pound safe work load. If you choose to straight pull away the debris instead, you can count on the tarps to have a 3,000 pound capacity. Thus, no spring roofing job will be too big or too small for these puncture resistant tarps. Once the tarps are filled with debris, they can be easily hauled off and emptied into the nearest refuse container. What makes the hauling process so simple are the built-in, heavy-duty O-rings and cross-webbing. 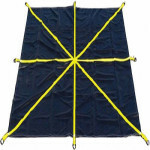 They make the tarp easy to hold onto and help to keep it from breaking. It is also important to note that the roofer tear off tarps are considered a custom product. So youll want to order them at least 15 days before you plan on starting your spring roof repairs. That way, you wont have to worry about starting the project without them. Wed also suggest ordering extra tarps to keep your roofing supplies clean and dry during the project too. To learn more about our roofers tear off tarps and other products, please contact us at (877) 811-3911. This entry was posted in roof covers and tagged roof tarps, roofing tarps on February 20, 2014 by CanopiesAnd Tarps. One way to prevent shoreline erosion from damaging your pond liner is to re-grade the bank and the shoreline. Afterward, cover those areas with vinyl tarps and top them off with a layer of rip-rap. Depending on your pond, you could opt to use gabions in the process too. If installed properly, the vinyl tarps and gabions should prevent erosion from causing the rip-rap to fall or slide onto the pond liner. Eco-friendly, moisturizing soil conditioners can also help prevent shoreline erosion and subsequent pond liner damage. They often do that by making the area around the pond less susceptible to wind erosion. There are companies nowadays that make potassium based conditioners. They tend to be safe for use around underground water sources, humans, wildlife and vegetation. Speaking of which, adding emergent and submergent vegetation around your pond may help matters too. Thats because the vegetations roots tend to keep the soil in place during periods of rain and wind storms. Just be forewarned that some vegetation can spread quickly and take over a pond. So youll want to make your plant selections and placements judiciously. Wind created waves can also pose a problem. So you may want to build a center island or hump in your pond as well. The island will serve as a barrier of sorts, which will help to absorb or deflect the erosion causing energy. If an island or a hump isnt feasible, coir fiber logs may prove to be a good alternative. They are made of biodegradable materials and designed to prevent shoreline erosionas well as pond liner damage. To learn more about pond liners and preventing erosion from occurring around them, please contact us at Canopies and Tarps. 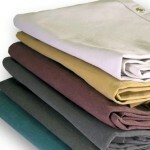 Our made-to-order, polyethylene pond liners are very durable and feature an average thickness of 20 mil. This entry was posted in pond liners and tagged containment liners, pond liners on February 13, 2014 by CanopiesAnd Tarps. March 2014 will mark the arrival of more than just shamrocks and spring vegetables. It will also signify the start of National Craft Month. The holiday has been around since the late 1990s and is a perfect time to host a sidewalk sale or special promotion. Our carnival canopies and party tents can help you do both. Our eye-catching carnival canopies feature strong, 8 foot by 8 foot steel frames that would fit into a small, medium or large size space. So you can feel positive that it will last for several National Craft Month celebrations to come. The amount of space provided by the 8 foot by 8 foot frame should give you enough space to set-up a banquet table, dump table, stackable shelving or a series of trade show pedestals. You could feasibly hang lightweight items from the frame itself too. The sturdy frame is topped with a 500 denier polyester top and rail skirts that sports show-stopping, red and white stripes. Besides being quite enticing, the fabric is fire retardant, water repellent, rot and mildew resistant. Thus, youll be ready to for any spring rain storms as well. If you have a lot of crafts to display, you may want to go with a medium or large party tent instead. To give you an idea, a 20 foot by 20 foot party tent will typically accommodate four to six 8 foot banquet tables and room for customers to walk around. Weve also got party tents that are much bigger than that. So you could always buy those and add more tables. Another option is to buy one of the largest tents that we have in stock and host your own craft show. That way, you could recoup the cost of the large party tent quickly by renting out space to fellow craft vendors. 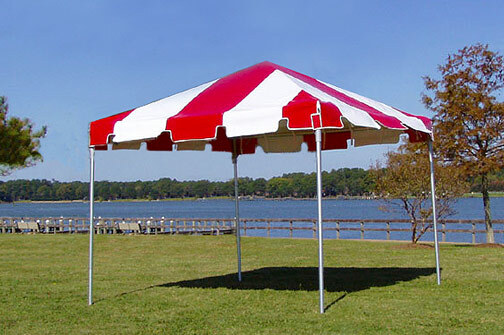 A few of the large party tents that would be ideal for National Craft Month shows are the 30 foot by 40 foot Eureka and the 20 foot by 50 foot Elite. To learn more about our canopies and tents prior to the National Craft Month kickoff, please contact us toll-free at (877) 811-3911. We are typically in the office Monday through Friday between the hours of 8 a.m. and 7 p.m. PST. This entry was posted in party tents and tagged event tents, party canopies, party tents on February 13, 2014 by CanopiesAnd Tarps. Transporting a truckload often isnt as easy as it seems. If you have an object thats stationary and that fits perfectly into the bed of the truck then it can be, but oftentimes people have more complex things that they need to move, whether it be materials like dust or rocks, larger objects that are light enough to fall out of the bed, or numerous things that risk spilling over the edges, then you can require other things to make sure your truckload is adequately fastened. Thats what a truck covering tarp is there for, its something that you can use to tie down anything in the truck bed and make sure that you dont lose anything and have nothing to worry about. There are various kinds of tarp for a truck, and the right one for you all depends on your situation. A dump truck covering tarp can vary quite a bit from a pickup truck covering tarp. For one the size has to be considerably larger, but also generally speaking the dump truck tarp has to be stronger and more heavy duty that the pickup, which likely requires a heavy duty polyethylene tarp. There are specific tarps for lumber, for gravel, and based on the size or shape of the load that youre carrying. Furthermore, you have to make sure that you get the proper gear to anchor your tarp, whether that simply be road for the grommets, or whether you need wenches and straps to make sure that its properly anchored. Truck covering tarp material ranges from mesh, which is good for lighter and more gentle loads, to poly tarps, which are more comprehensively protective and generally more resistant and strong, however tighter and less flexible. Take the opportunity to look around and find the perfect truck covering tarp from oru store! We’vegot the best tarps for you! 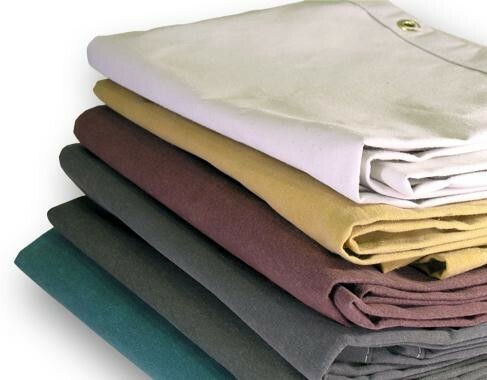 With our wide selection of tarps and accessories were the only destination that you need for the perfect tarp and cover! 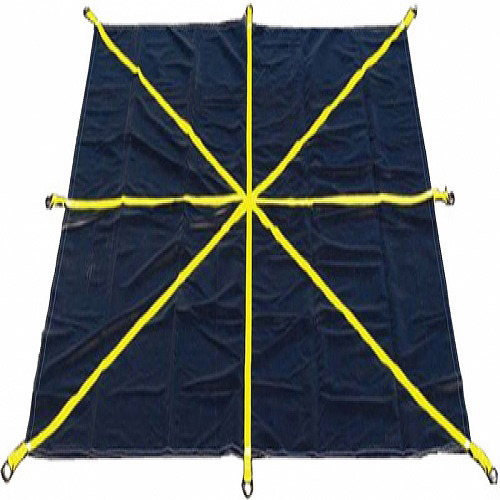 We’ve got truck covering tarp bags, and tarps that come in various different colors, sizes, and materials. With our help youre sure to keep everything covered and safe no matter what it is! This entry was posted in truck tarps and tagged tarpaulins, tarps, truck tarps on February 12, 2014 by CanopiesAnd Tarps. Whether you own a small boat or a 50 foot yacht, preparing ones vessel for a spring launch is essentially a rite of passage. Owning canvas tarps and enclosed carport canopies can make that task go a lot faster. Depending on the boats size, canvas tarps and enclosed carport canopies will help shield it from the elements year round. So boat owners are less apt to be faced with deck and hull resurfacing tasks after the spring thaw. Hull repairs might be reduced in the process too. If hull repairs are needed, both items may come in handy for that task as well. For example, a canvas tarp can be used to protect surface areas from resin, glass fabric and fiberglass dust. The enclosed carport canopy, on the other hand, can provide a safe area where the boat repairs may be made in comfort. With the hull repairs out of the way, all thats left to do is check the boats fuel system, fluid levels, propellers, electrical system and other working parts. Examples include cables, belts and hoses. Of course a good cleaning might be in order too. In addition to protecting boats, canvas tarps and enclosed carport canopies can preserve safety gear as well. Thus, boat owners can typically store their life jackets, emergency kits, bait boxes and other nautical gear near their prized vessels. That undoubtedly makes loading up the boat before launch day a cinch. For boat owners on the go, portable carport canopies and canvas tarps may also be taken on the road. Then they can be quickly set up at the boat owners seasonal destination. Furthermore, when the carport or tarps are not being used to protect the boat, they could be utilized for other things. For instance, some boat owners may opt to use the canvas tarps as tent footprints or emergency shelters. At Canopies and Tarps, we keep polyester canvas tarps and enclosed carports suitable for boating applications in stock. To learn more about them before the big spring launch, please contact us at (877) 811-3911. This entry was posted in canvas tarps and tagged canvas, covers, tarps on February 6, 2014 by CanopiesAnd Tarps. Now that Dog Training Month has arrived, how do you plan on celebrating? 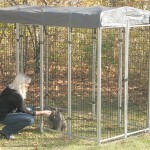 Many people that we know are hoping to use shade canopies, pop-up tents and portable kennels to host outdoor pet shows. Others are looking forward to using those same items during obedience training sessions. At Canopies and Tarps, we have a variety of portable kennels and kennel covers in stock that could be used at Dog Training Month events. Weve also got mesh covers, pop-up tents, party tents, pet tents and off-the-ground pet beds as well. Any one of them could be factored into Dog Training Month festivities too. For example, if you do decide to host a public event, be sure to set up shade canopies or tents where both two and four-legged attendees can seek shelter. After all, heat stroke is dangerous for both humans and animals. Dogs are particularly susceptible because they are not born with many sweat glands. The ones that they do have are located on the underside of their paws. With that said, having our off-the-ground pet beds, dog approved cool packs, portable fans and insulated tarps on hand may prove to be beneficial too. They can help the dogs keep their paws off of the hot ground, which may make cool down sessions more effective. Our portable kennels, on the other hand, will give four-legged attendees a safe place to de-stress and relax in between activities. 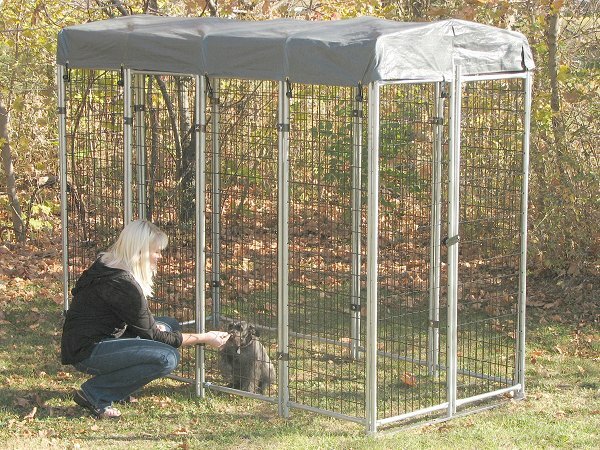 Some of the portable dog kennels and canopies are suitable for one or two small dogs. Others, like the 7.5 x 13 x 6 and 6 x 4 x 8, would be perfect for medium to large breed dogs. All of them are capable of being outfitted with shade providing canopies, covers and tarps. To learn more about canopies, covers, kennels and other items ideal for Dog Training Month events, please contact us at (877) 811-3911. Being dog lovers ourselves, wed also welcome hearing from you on our Facebook page about how you keep your pets cool during training sessions. This entry was posted in dog kennels and tagged god kennel, kennel tops on February 6, 2014 by CanopiesAnd Tarps.